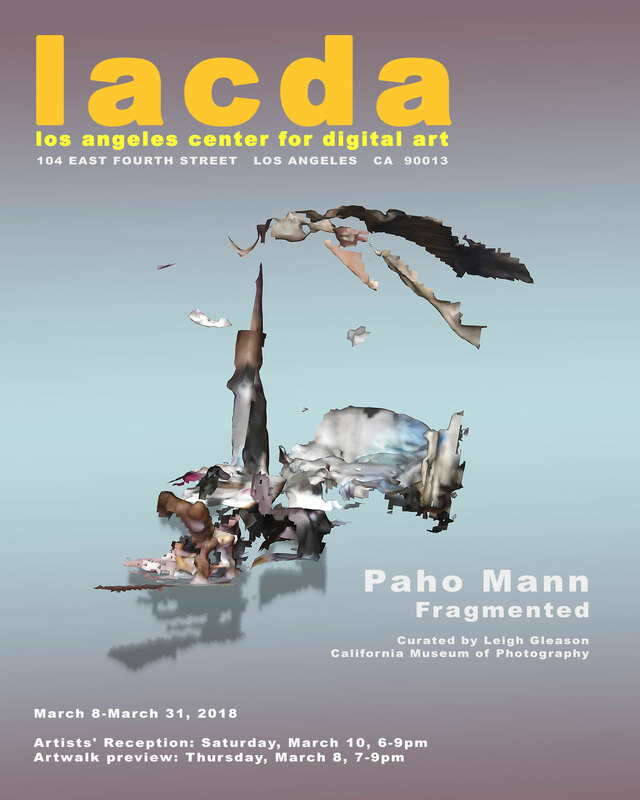 Paho Mann investigates the personal and cultural relationships to the objects we collect while addressing ideas of value, and memory. Observation, photographic representation, and the role of contemporary photographic technologies are central to his practice. Mann considers the role of technology and photography in the ways we observe and make meaning from mass-produced objects and personal keepsakes. In Fragmented, Mann uses 3-D scanning technology to scan family heirlooms and other objects from personal collections. Often, the use of a consumergrade version of this emergent technology results in scans that show the objects as fragmented versions of themselves, almost as if they have exploded. These scanned objects are digitally placed against a colorful gradient backdrop similar to those seen in product photography or commercial portraiture.